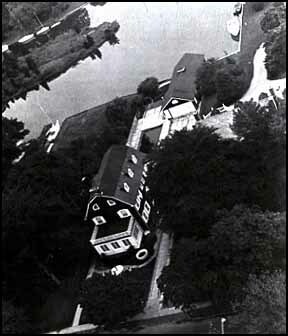 The haunted house - Amityville horror house. An american story. Looking for a new house? Want to find some great new land? Looking for great Colorado real estate for your your next move?? Want to build a real cabin in one of the great Denver neighborhoods. Find beautiful Denverhomes for sale at Colorado home finder! Visit today and find the perfect home for you! It’s believed that the hoax rumor began with a man who called himself Dr. Steven Kaplan, although he held no doctorate degree from any university. This fact was exposed on several occasions, yet that never stopped Mr. Kaplan from making these claims. He was the self-proclaimed president of the Parapsychology Society of Long Island and some other related societies, presumably founded by himself. 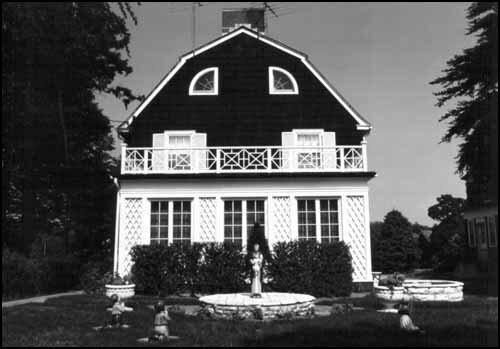 As far as the Warrens can tell, he hated them because Mr. Lutz, the owner of the Amityville Horror home called Mr. Kaplan prior to calling the Warrens, and asked him to investigate the situation. Mr. Kaplan came to the home to “investigate” with 6 witches and the Channel 7 news team, and Mr. Lutz threw Mr. Kaplan off the property---and then called the Warrens. This started a 20 year vendetta of Mr. Kaplan against the Warrens. Ultimately, a Babylon, NY radio station made Mr. Kaplan apologize to the Warrens because they’d uncovered that Kaplan had fabricated the hoax rumor. Kaplan said on the radio program, “I will never go against the Warrens again.” Given his health, he was never able to try, although his apology was short- lived. 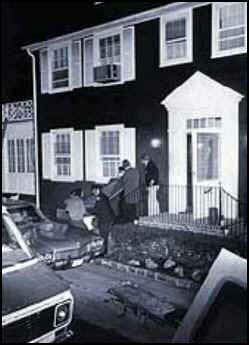 Jay Anson, author of The Amityville Horror had a heart attack while he was writing the last chapter of the book. He recovered from this heart attack but had a second, fatal heart attack while writing his second book “666” on the anti-Christ. These are only two of the many “coincidences” that plague the Amityville story. How the Warrens became involved: Ed and Lorraine Warren met with a priest, Father Pecararo, and the Lutzes when they were first called in to investigate. The Lutzes were living at Mrs. Lutz’s mother’s house in Deer Park, NY because they were too afraid to go back to the house to live. They were all but afraid to even speak of the phenomena, so deep was their fear. They’d even left all of their furniture and possessions behind, not daring to return to move out--it simply wasn’t worth the risk. Lorraine Lorraine’s Experiences: Lorraine was frightened even before she’d entered the house. She’d contacted some priest friends in advance and asked them to accompany her in spirit into the house. She took relics with her of Padre Pio which she’d received in a letter from a total stranger earlier in the week. Marvin Scott On the second floor, Lorraine went into the sewing room. Marvin Scott, the Channel 5 anchorman, told Lorraine, “I hope that this is as close to hell as I ever get,” as they went into Missy’s room. Lorraine immediately clairvoyantly knew that Missy’s room had the same furniture as it had when the DeFeo girls were murdered. Mr. Lutz had let his children sleep in the DeFeo children’s death beds.